Noel took up the pipes in the early 1970s with the kind assistance of Peter Browne. His first teachers were Brian Gallahar and Pat Mitchell. It was in Bray that he was strongly influenced by the music of Martin Doyle and Noel Gallagher. Through Brian Gallahar he got to know Kathleen and Martin Rochford and through this friendship came his affinity with the music of East Clare. Noel’s other main influences on the pipes was the music of Séamus Ennis and Willie Clancy, but nowadays it’s almost every piper he hears. Noel is a Dental Technician by profession and is employed as laboratory manager in the Dublin Dental Hospital. He is also a member of the Board of the DDH. A trade unionist all his working life, he is an elected National Trustee of SIPTU and a member of its National Executive Council. He served two terms on the Dental Council of Ireland and for ten years was on the Fitness to Practise Committee of the Council. Ken Lynam was born in Dublin and moved to London in the early ’70s where he began working as an independent documentary producer. In the early 1980s he saw an article in the Irish Post about the Pipers Club which had recently began meeting in the Irish Centre in Camden. He began attending classes there and was taught by Billy Browne, John Murphy and Tommy Keane. 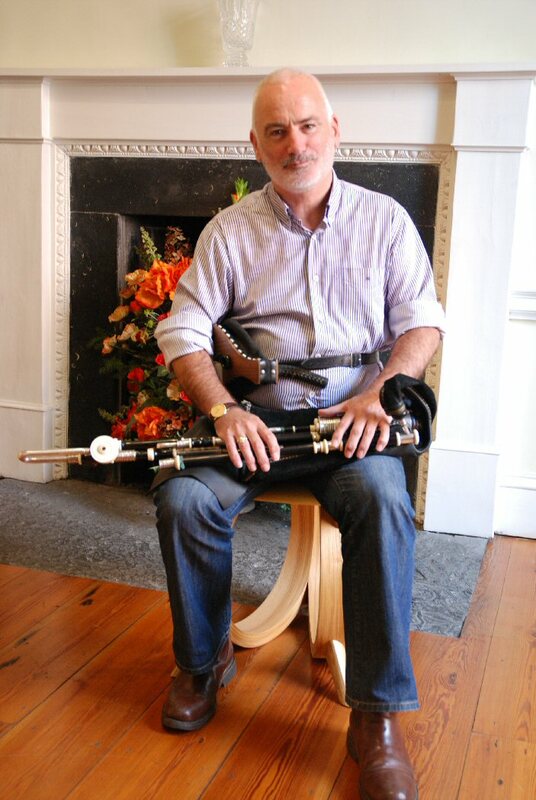 Shortly after returning to live in Dublin in 1994, Ken proposed a video piping tutor project to the Board of NPU, and subsequently produced the ‘Art of Uilleann Piping’ series. He has since been involved in many of the DVDs made for NPU. Sheila was born in Glasgow with family roots firmly entrenched in the Donegal Gaeltacht. She began playing music on tin whistle, then flute for several years, before getting a set of pipes at 16. Growing up in Glasgow, she received tuition from workshops at Scoil Gheimhridh Frankie Kennedy with Gay & Sean McKeon and at Scoil Samhraidh Willie Clancy with Tommy Keane and Mick O’Brien. Sheila credits NPU for continued support in her piping, having frequently travelled to Henrietta Street for tuition and help in maintenance of her pipes, especially from Gay McKeon. She plays chanters by Paddy Hyland and Benedict Koehler with a set by Gordon Galloway. Sheila features on Na Píobairí Uilleann publications The Rolling Wave CD (A new generation of uilleann pipers) and Pipe Up DVDrom. At the beginning of 2014 Sheila released her first album The Friel Sisters along with her sisters Anna & Clare with whom she has played across Europe, America and in Asia. 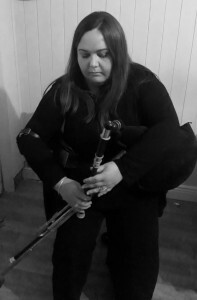 Along with teaching pipes she has performed at various tionóls, NPU events and at Cumann Píobaireachta Tharlach Mhic Suibhne events promoting uilleann piping in Donegal. Outside of music, Sheila is a recent graduate from the University of Glasgow in Dentistry, practising in Scotland and is on the committee for the reformed Glasgow Dental Alumnus Association. Danny McGreevy was brought up in a music loving household in Downpatrick, Co.Down. His first involvement with music was with the local pipe band, whose pipe major and tutor was his father, Patsy. Later, he went on to play with the award winning Thomas Davis Pipe Band based in Newry, Co. Down. His interest in traditional Irish music began when his mother, Madeleine, bought him a tin whistle. It was in B flat as she thought it looked more like a chanter in size! 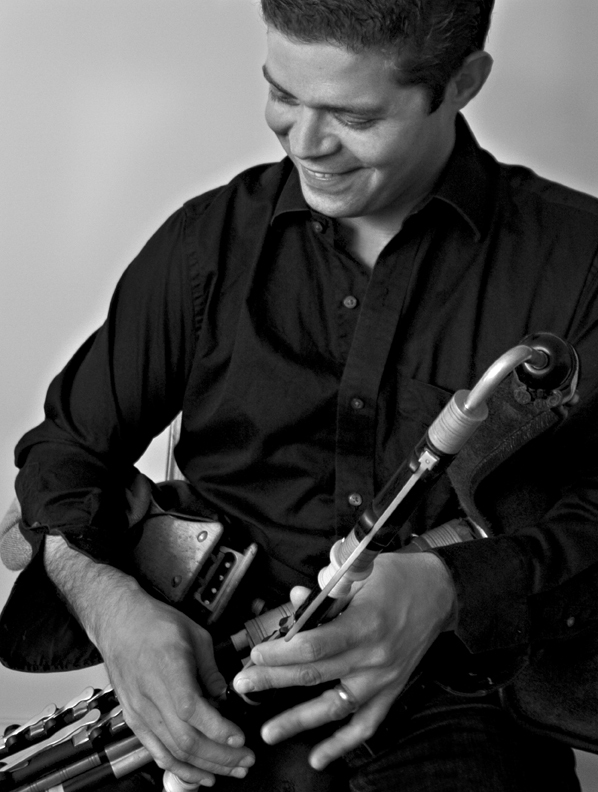 While a student at Queen’s University, Belfast, Danny first heard the piping of Liam O’Flynn and Paddy Moloney, and determined to make the transition from piob mor to piob uilleann. By good fortune, pipe maker Robbie Hughes had moved to the Downpatrick, and from him, Danny acquired a practice set. Through Robbie and Ken Mc Leod, Danny became aware of, and mesmerised by the piping of Seamus Ennis, Willie Clancy, Leo Rowsome and Tommy Reck. Over the years, Danny had become proficient on a number of musical instruments and played in various traditional groups. He was also a founder member of the renowned Downpatrick Folk Music Club, and spent many years in the promotion and presentation of the best in traditional music, perhaps to the detriment of his personal development as a musician in general, and piper in particular. In the early 2000’s Danny decided to focus on the pipes in an attempt to become a piper, rather than someone who could “play” tunes on the pipes. 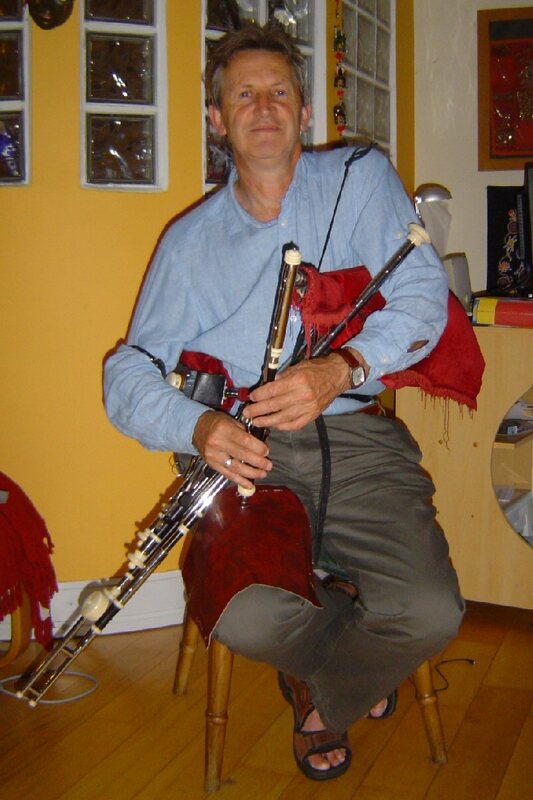 He sought out other pipers and through his good friend Tom Clarke, was introduced to NPU At his first Tionól, a workshop session with Jimmy O’Brien-Moran, gave him immense encouragement. 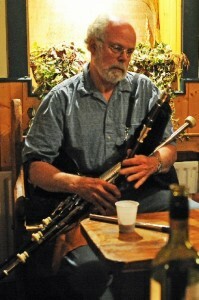 A former teacher and lawyer, since retiring from the law in 2007, Danny has concentrated on teaching traditional music, running Rath Celtair Folk Music Club, and striving to become a “piper”. My first memory of uilleann pipes was in Grange Con, Co. Wicklow during a 2 year family sojourn in Ireland from the age of 10.I acquired a set of Crowley highland pipes in 1964 and started playing with an Irish pipe band here in St. Louis. It wasn’t until the acquisition, in 1965 of 3 LP records of uilleann piping that I finally had more than a memory of the uilleann pipes. But with the closest uilleann piper I could find being “some fireman in Chicago” 300 miles away, only dreaming was possible. Finally in 1986, I was put on to Jerry O’Sullivan who gave me onto Eugene Lambe, and a set was ordered. With great good fortune, Michael Cooney was in St. Louis at the time and kindly provided tutoring and help with reeds which were, and still are, notoriously fickle in the Midwest climate. Through Michael an introduction to Alain Froment was effected and B set and D chanter were obtained while attending the Templemore Tionól in 1999. In 1998, Michael Cooney and I got together and decided to start the St. Louis Tionól which is just completed its 18th year. Retirement in 2006 allowed visits to Ireland and other Tionóil in the US and most importantly provided time for practice and playing. And, as if the music were not sufficient, retirement has included board positions with several not-for-profit organizations. One of my great sources of pride is having a granddaughter who plays the harp. A daughter and a son have also taken up the pipes and, in addition, I’m privileged to have 4 students in St. Louis who all provide a constant source of inspiration. Kieran O’Hare was born in Kansas, and took up the uilleann pipes in his early teens, with early guidance from piper and pipemaker Kirk Lynch. His early years of playing were spent largely in the company of the recordings of Séamus Ennis, Willie Clancy, Leo Rowsome, Paddy Moloney, and Liam O’Flynn, all of whose piping remain continuing influences. 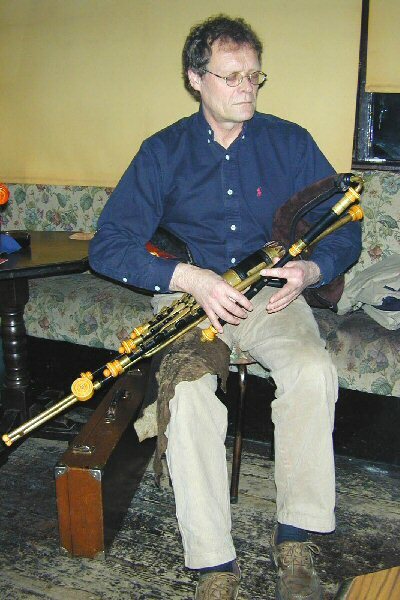 While attending university in Dublin in the early 1990s, Kieran received great support and encouragement at Na Píobairi Uilleann, notably from Seán Potts, Seán Donnelly, Joe Doyle, Terry Moylan, Andy Conroy, and Nollaig Mac Cárthaigh. It was during these years that he was privileged to receive perhaps the single most influential guidance, in the form of countless hours spent playing with and learning from Gay McKeon. 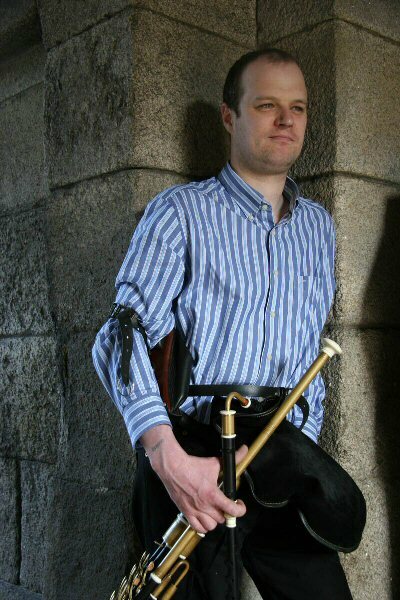 Kieran began teaching the pipes at NPU at this time, and continues to be an active teacher and promoter of the uilleann pipes. As a piper, he has performed around the world through his work in theatre and music performance. Kieran plays a concert pitch set of pipes by Cillian Ó Briain, and flat sets by Andreas Rogge and Joe Kennedy. Sorcha Potts, born in Dublin is a daughter of Sean Potts and sister of Sean Óg Potts. She began learning the whistle at a very young age and later the flute. 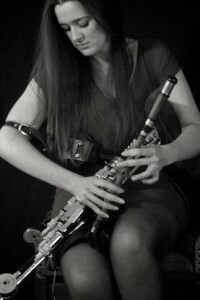 She joined NPU in 2009 and began learning the Uilleann Pipes in 2011. She is also a very keen sports person with particular interest in Gaelic Football. Sorcha became actively involved in the fundraising for NPU and was elected to the board of NPU 2013. Jacqui Martin was born in Dublin into a musical family. She started playing music from a very young age, playing various instruments before settling on the fiddle in her late teens. 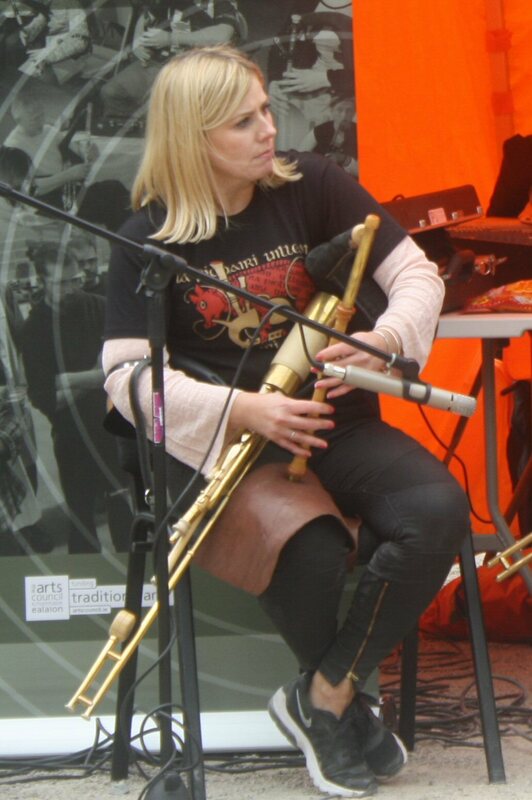 In 2012, Jacqui decided to try the pipes and started attending classes in Na Piobairí Uilleann with Gay McKeon. 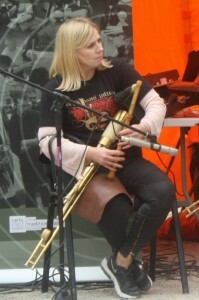 Since then, Jacqui has become an active member of Na Píobairí Uilleann, getting involved in fundraising events for NPU. She organises an annual fundraising concert for Na Piobairí Uilleann’s sponsored cycle to Miltown Malbay. In 2017, Jacqui organised and took part in a piping marathon in Dublin city centre.